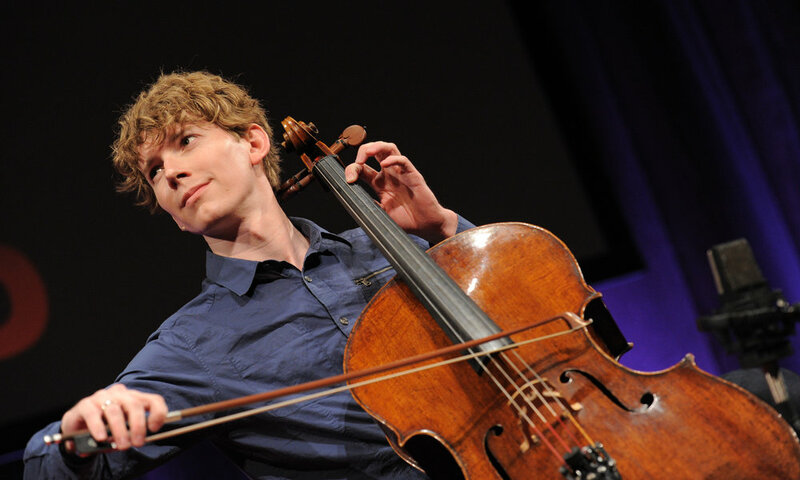 The CCS is excited to offer this unique opportunity to Cleveland area cellists to actively engage with internationally-acclaimed cellist, Joshua Roman, dubbed by the press "a Classical rock star." WORKSHOP: In 2009, Joshua embarked on his Popper Project, challenging himself to learn an etude a week, and posting a video as proof. We thought it would be fun to hold a Popper Etudes Workshop immediately before the recital to help you improve your etudes game! The workshop will begin with Joshua leading ALL participants in a mass performance of Popper Etude No. 36, followed by solo performances by four pre-selected students, with Joshua providing helpful coaching. Can you have Popper #36 “performance ready” by November 4th? If your answer to that question is “yes”, then you should sign up! Guaranteed to be a memorable day for one and all! RECITAL: Joshua’s solo recital will follow the workshop—starting at 3 P.M.-- offering a fascinating program of works by Bach, Ginastera, Penderecki, Summer, plus Joshua’s own compositions as well as his arrangements of Jimi Hendrix and Radiohead. Please join us for this memorable afternoon of full-spectrum cello works. Recital Tickets: $20, general admission. $5 students. For sale online, via phone at 216-921-3480, or at the door. Arrive early for best seats. Workshop Fees: $30 participating student or adult auditor (includes one recital ticket). Guaranteed as always to be an inspiring afternoon: come hear some of Ohio’s best young cellists, featuring the winners of the 2018 CCS competition! Tickets: free to CCS members, $5 for non-members, sold at the door only. Judson Manor Ballroom - 1890 East 107th St.
January 11, Friday, 7pm: i Cellisti, 2019! Read more about January 11, Friday, 7pm: i Cellisti, 2019! Bach for Humanity is Mark Kosower’s multi-year initiative bringing Bach’s cello suites and violin sonatas and partitas (transcriptions by Kosower) to a wide cross-section of greater Cleveland. Cellists from all over Ohio will compete for scholarships in four age categories: elementary, junior, senior, and collegiate. A small number of seats will be offered at $25 to those wishing to observe the auditions. Call the CCS to reserve a seat, 216-921-3480.